Last week, our president, Susilo Bambang Yudhoyono was around, nearby. He was scheduled to attend congress of the Democratic Party which is held in Bandung, Mason Pine Hotel to be precise. The hotel is located across our school, Al Irsyad Satya Islamic School. Since the distance is very close to our school, it’s affected to some adjustments to our school’s schedule. Cars queue on the road in front of our school. The street in front of schools became so crowded. Some police cars parked directly in front of the school gates. It’s a real rare phenomenon. Not necessarily occur once a year. 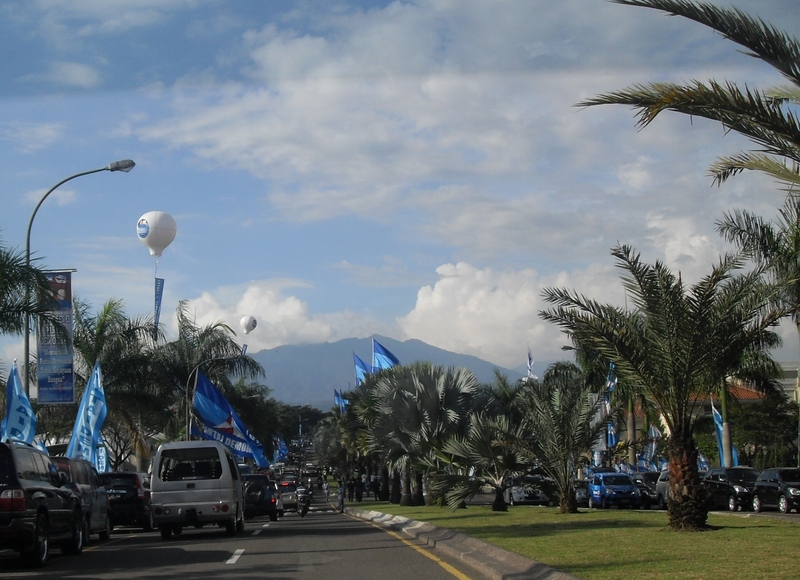 In the afternoon, it caused extra long queue of the vehicles that deliver and pick up the participants to the front gate of the hotel where the congress being held, in addition to various media who covered the news directly from the site. Further effect of the event was… pile of trashes here and there. Too bad. Bad attitude. This entry was posted in daily digest, School Event and tagged Al Irsyad Satya, attitude, bandung, event, holiday, Mason Pine hotel, president, school. Bookmark the permalink.